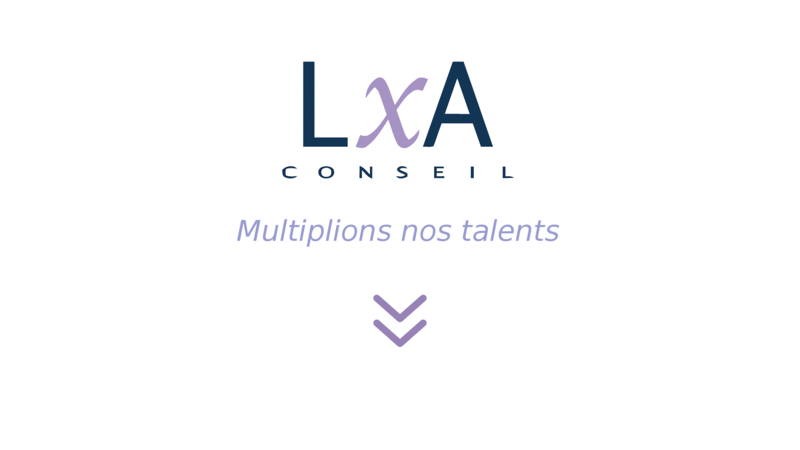 LxA Conseil - Multiplions nos talents ! LxA is a dynamic consulting company located in the heart of Nice Sophia Antipolis, Europe's biggest technopole, with consultants from 15 different countries, who are working with major economic actors in the area. With participative local management, we are committed to keeping a close relationship with our consultants all along our common path. Our areas of activity concern all the new technologies of IT and project management among others. Our missions are focused on all the computer engineering and project management areas. We are searching both French and foreign engineers with high added value for the needs of several large companies in the area. As our company is in constant expansion, we are constantly looking to reinforce our team with new consultants. Are you ready to become one? For me LxA is an heterogeneous company which is young, dynamic and constantly growing. LxA knows how to listen to its consultants, thanks to its high-quality communications and close relational proximity, allowing its consultants to grow professionally easily and confidently. I can attest to it, as I wanted to broaden my skills, LxA allowed me to follow a formation which really helped me to grow. It's a real pleasure to be a consultant at LxA, a company human-sized in which the atmosphere is friendly and warm. Since my arrival, I acquired new skills and found the path I wanted to follow. Today I am in mission as a developer inside a company in which I can grow and acquire skills on new technologies, with, I hope, a bright future ahead. LxA is for me a technological consulting company that stands out from the rest thanks to people oriented philosophy and individual approach for each consultant. My experience with LXA couldn't be more fulfilling. Being my first opportunity abroad it met both profesional and personal needs. I was well regarded by LXA managers which were always supportive and helpful. Also, they were looking for better opportunities, trying to provide career growth. I hope that LXA will continue keeping the high standards and the personalised approach. LxA is a very international and yet small-scale and personal. Therefore it is easy to get to know other consultants in the company: I met some really cool people there. I also really enjoyed the area: Mediterranean weather, the beach and the mountains. In order to let us know your interest in our opportunities just fill in the following form. We kindly ask you to provide an updated resume. Copyright 2015 LXA Conseil. All rights reserved.